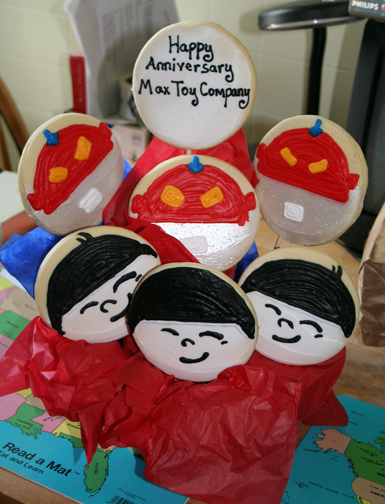 Max Toy Cookies ? We were given these over the weekend … really cool ! But of course now they are nearly all eaten by Max and I ! In sad news did you know that the guy who developed and helped design Scooby Do passed away ? His name is Iwao Takamoto and I often remember seeing his name in the credits as they rolled by even when I was young .. since it is a Japanese name.. this way back in the 60’s….Read more on CBG link He was 81, and spent time in the Japanese Camps of World War II , as both my parents did.But he does leave a rich legacy of characters that no doubt will live forever.